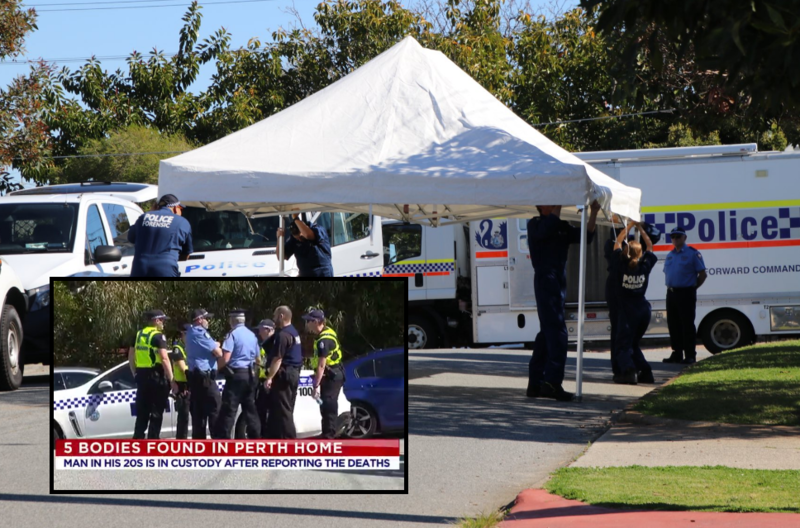 Western Australia Police confirmed this morning that up to five people, two women and three children, were found dead at a home in the Perth suburb of Bedford. Police officers went to the house on Coode Street in Bedford after a man, who’s in his 20s, entered the police station and informed them. That person has now been taken in custody and it is not yet known whether the victims were related to him. Assistant Commissioner Steel, who led the operation, claimed: “This is a tragic event and it will no doubt have an impact on not only on the family and friends of the deceased, but on the whole of the community, those first responders who are faced with attending a scene with deceased people." Related coverage: <a href="https://thegoldwater.com/news/25905-Australia-Grandfather-Suspected-In-Country-s-Worst-Mass-Shooting-For-Decades"> Grandfather Suspected In Country’s Worst Mass Shooting For Decades</a>. Reporters immediately linked the event to another family murder-suicide in Margaret River earlier this year (see related coverage).